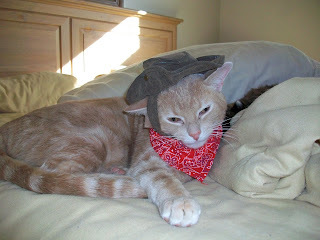 As promised, I have more photos of my cats in the cowboy costume. Again, this was not an easy task, as cats think they are beautiful enough without having to wear a costume. My buff-colored cat, Marble, decided to go with the flow and wear the coustume proudly. 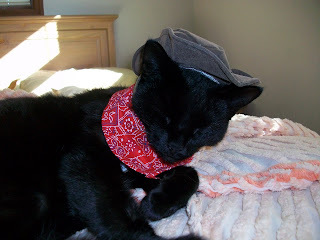 My black cat, Oscar, agreed to wear the cosume, but he was too bored with it to even open his eyes. 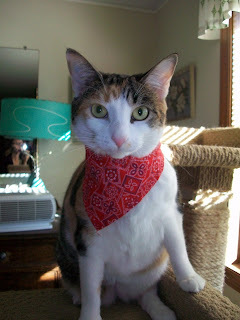 My calico female, Tiddler, agreed to wear the scarf, but was not going to wear the had as it is only for boys. 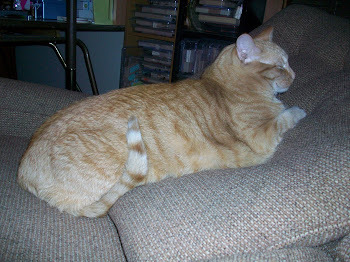 My orange cat, Sparky, only agreed to be photographed from from the side view. Stay tuned for photos of my last two cats. That is, if I can convince them how fun it is to wear a costume. Here's yet another Halloween card. 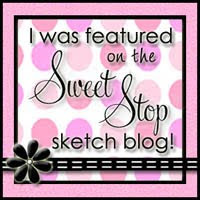 I made this card based upon a card I saw on Splitcoaststampers. 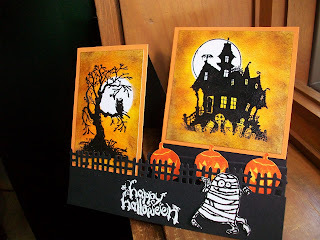 I made the card the same, except added the black fence and the mummy. I really enjoy making these 3-D cards. By the way, this was made with my new Halloween set, House of Haunts. I know these are not cards, but these are another one of my loves: my cats. 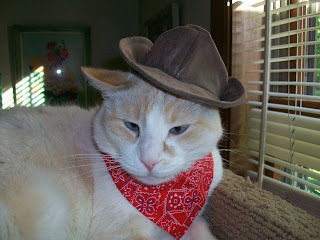 I bought a cowboy costume yesterday at Petsmart for my cats. 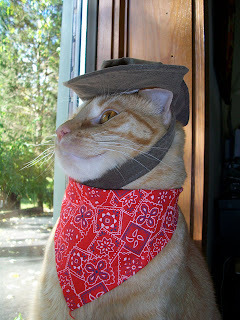 So far, I have successfully put it on two of my eight cats. Needless to say, they were not amused. 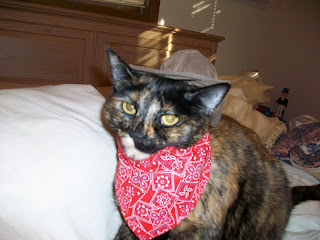 The torie cat is Kimmie the cowgirl and the cream color cat is Snowball the cowboy. Stay tuned for future cat photos. I recently took another Copic marker class. 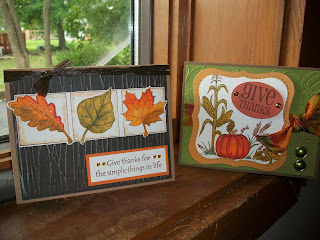 In this class we practiced coloring fall images. As a result, I had to purchase 21 new markers. Oh well, my collection is growing all the time. We practiced coloring and blending in class then took blank images home to complete. I have completed two of the images and made them into these cards. Yet another Halloween card... When I saw this designer paper with black cats on it this summer, I had to get a few sheets. 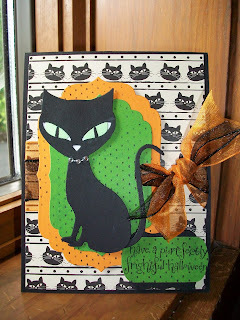 I made this card but cutting out the large black cat with a new Quickutz die. I added green eyes and a rhinestone necklace. The sentiment says, "Have a purr-fectly frightful halloween". 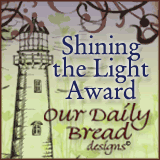 I live in Ohio (USA) with my husband, 11-year old son, and 9 cats. I enjoy making cards and ATC's. Because I am such a cat lover, I make a lot of cat-themed cards. Many of the cards I make are sold to benefit the no-kill animal shelter where I volunteer.